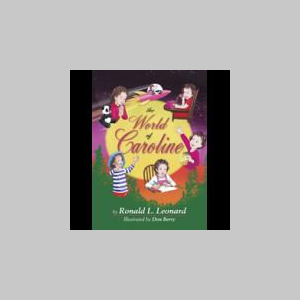 Ron Leonard is a business executive and a retired business development officer for a major NY bank. An NYU graduate, Ron has taught at the American Institute of Banking, served as president of his local Chamber of Commerce and his local library board. His real passions, however, have always been acting, writing, poetry and song writing. He has done work in community theater, produced and co-hosted a local radio program, and written a number of songs but this is his first book to be published. A resident of Tarrytown, NY, Niskayuna, NY, and Lake Luzerne, NY, Leonard has five children and four other grandchildren. He says that the responsibilities of parenthood and his busy career as a bank executive left him insufficient time to fully enjoy his children when they were growing up. “But grandchildren present a second chance to witness the miracle of childhood,” he says. 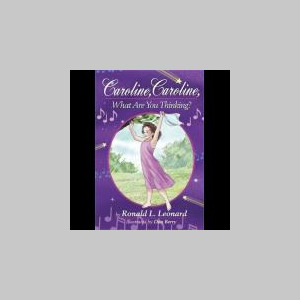 Caroline, his youngest granddaughter, opened the ‘door’ to childhood for him, and he wants the book “Caroline, Caroline, What Are You Thinking?” to open the door to childhood for everyone who reads it. Caroline, Caroline, What Are You Thinking?